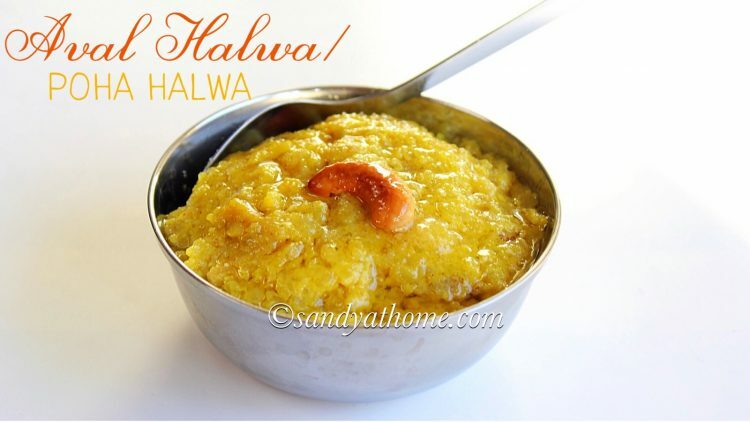 Aval halwa/ Poha halwa is a new variety and a must try yummy and super quick to make halwa this diwali or for any other festival or special occasion. 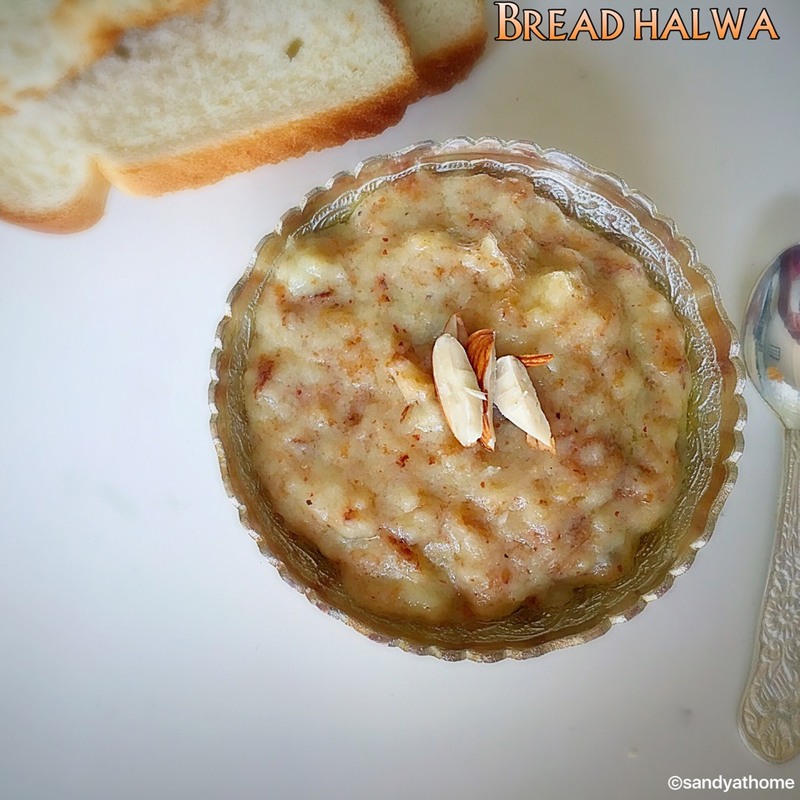 Yes this halwa is made with red poha/ aval and along with few handful ingredients to enrich its taste that too in very less time. 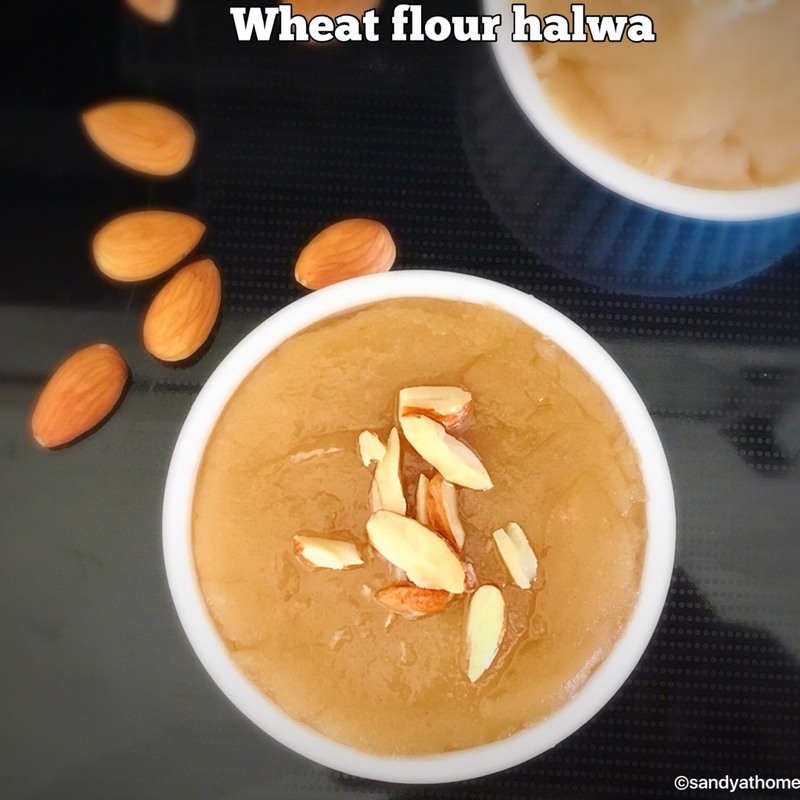 If you are a beginner still looking for a quick fix then should do the job as it does not involve any cumbersome procedure in its making like any other halwa. 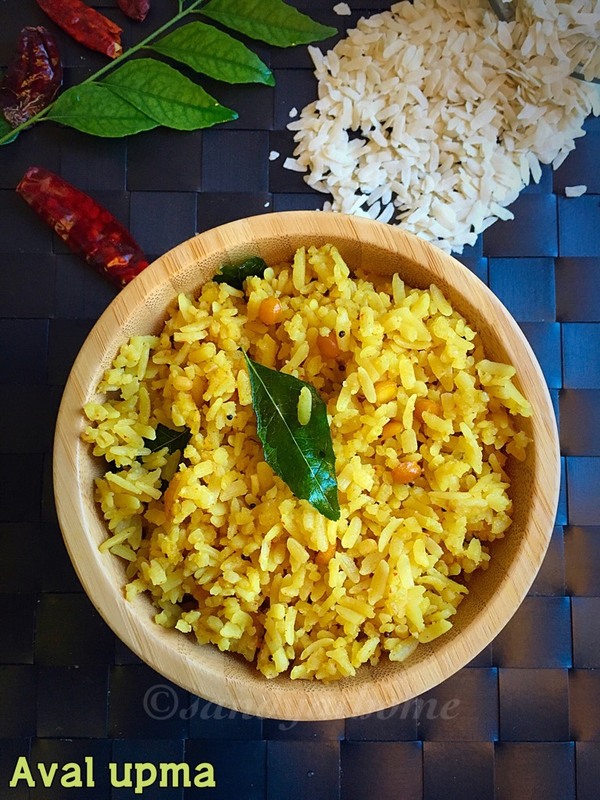 This recipe can be made with white poha as well as the taste will still remain the same. 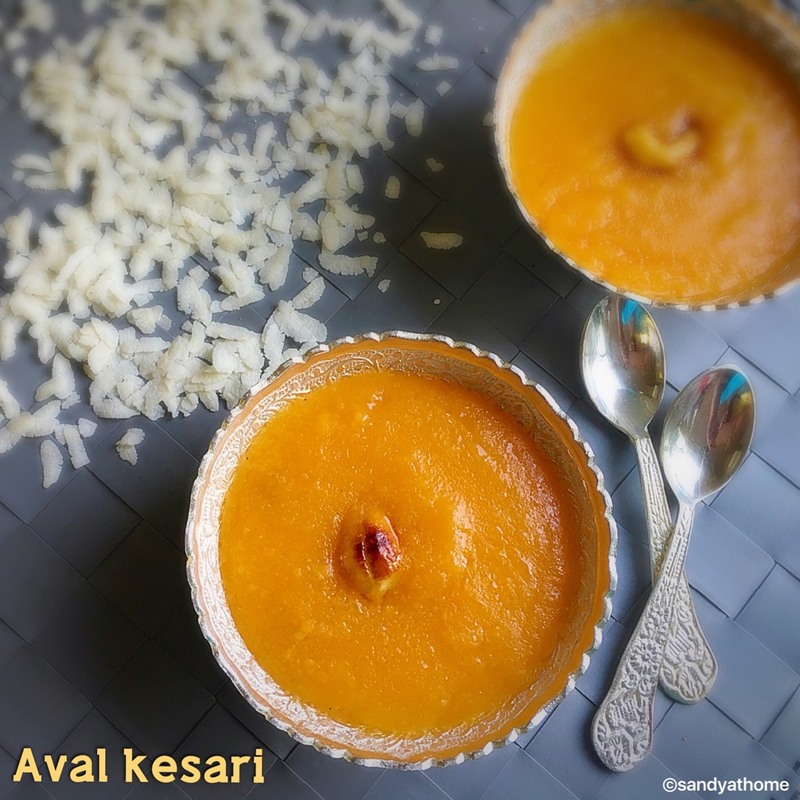 For the below recipe I have used yellow edible food color which can be replaced with orange edible food color as well. So lets get to the making! 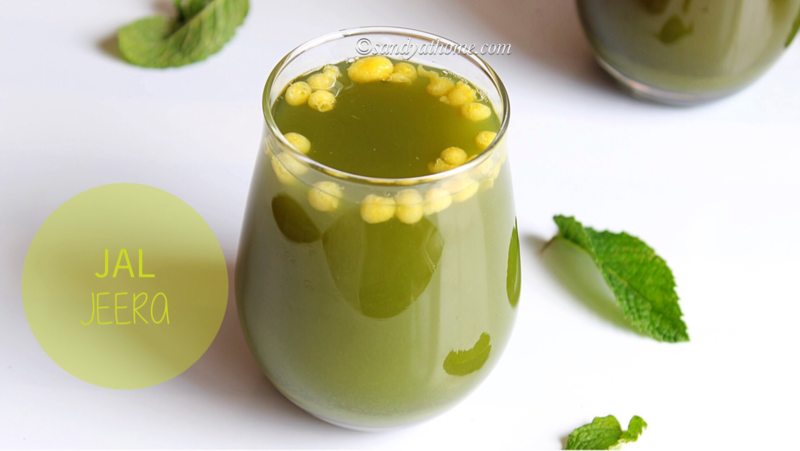 Wash aval/ poha in water and soak it in water for 15 minutes. After 15 minutes drain the excess water and crumble the soaked aval/ poha with fingers. Heat ghee in a pan fry cashews until golden brown. Keep it aside. 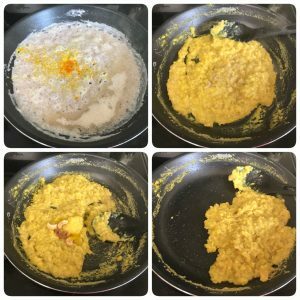 Now add soaked aval/ poha in it and saute well in medium flame for a minute. 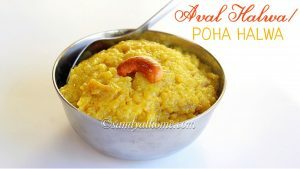 When the poha/ aval looks looks roasted and when nice aroma is emitted add milk to it and give it a good stir. Allow it to boil well stirring the mixture every now and then. When the mixture looks semi solid add sugar and cardamom powder. 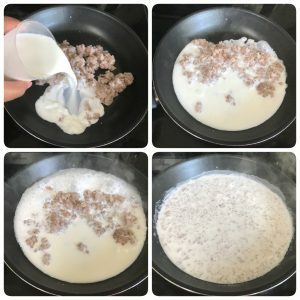 Now mix it really well. 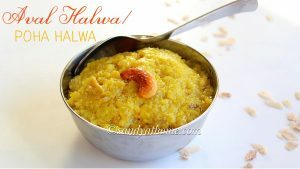 Keep stirring and when the poha/ aval mixture starts to leave the pan and has halwa consistency add ghee and fried cashews to it and mix well. Put off the flame and serve it hot. 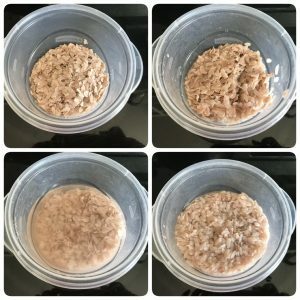 Wash aval/ poha in water and soak it in water for 10 minutes. 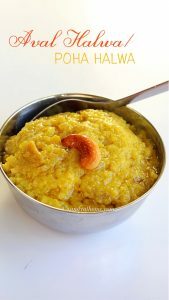 After 10 minutes drain the excess water and crumble the soaked aval/ poha with fingers. 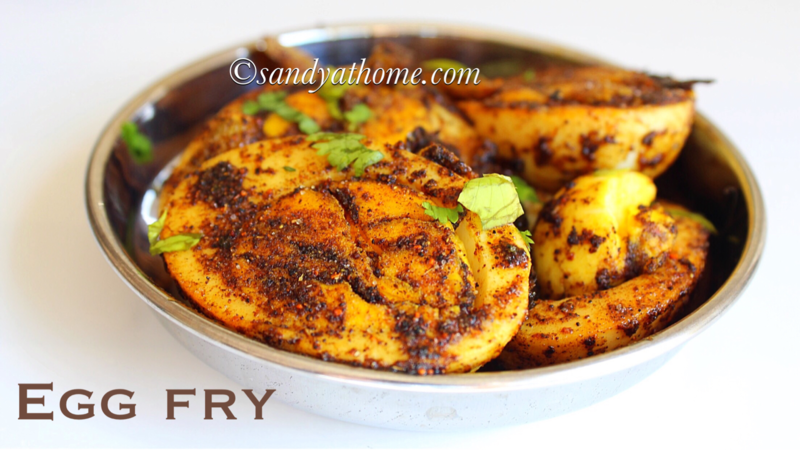 Heat ghee in a pan fry cashews until golden brown. Keep it aside. Now add soaked aval/ poha in it and saute well in medium flame for a minute. When the poha/ aval looks roasted and when nice aroma is emitted add milk to it and give it a good stir. Allow it to boil well stirring the mixture every now and then.